Press Release: NEW YORK, Jan. 17, 2019: A day ahead of three title fights on the Matchroom USA main card, including WBO World Middleweight titlist Demetrius Andrade defending his belt against Artur Akavov, fans gathered at Chase Square at Madison Square Garden for the official weigh-in. All fighters participating in the event on Friday, Jan. 18, were in attendance and tipped the scales at the weights listed below. 12-round WBO World Middleweight Title Bout @ 160 lbs. 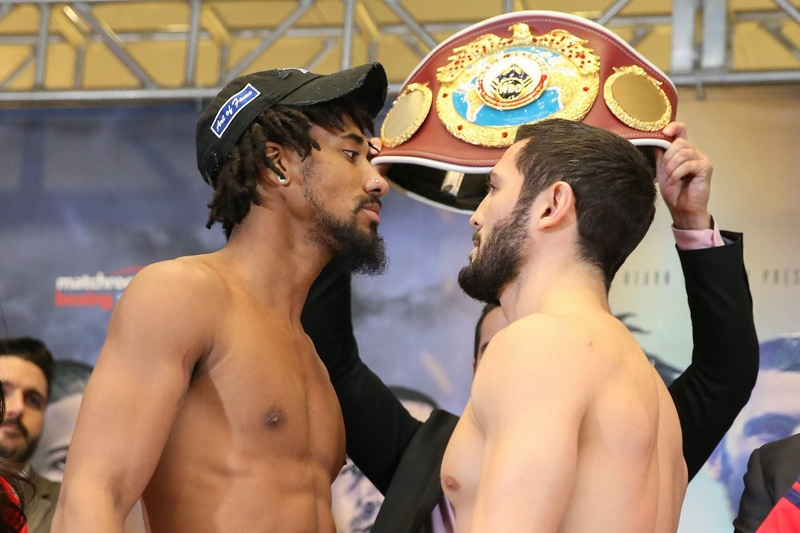 Demetrius Andrade (Champion) – 159.8 lbs. 12-round IBF World Super Bantamweight Title Bout @ 122 lbs. TJ Doheny (Champion) – 121.8 lbs. 10-round Vacant WBO Female Super Flyweight Title Bout @ 115 lbs. Globally, DAZN is a live and on-demand sports streaming service created by fans, for fans, that is leading the charge to provide access to sports anytime, anywhere. DAZN guarantees no long-term contract, no bundles, just one affordable price for access to all the service’s sports on connected devices including smart TVs, smartphones, tablets, games consoles and PCs. DAZN is currently available in Germany, Austria, Switzerland, Japan, Canada, Italy and now the U.S. – where it is becoming a must-have service for sports fans, with a daily show featuring live look-ins to Major League Baseball games beginning in 2019 and more than 100 fight nights already lined up from Matchroom Boxing, Bellator MMA, the World Boxing Super Series, Combate Americas and Golden Boy Promotions. 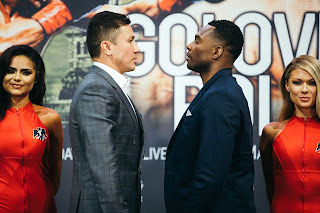 Material Courtesy of: DAZN/ Andrade-Akavov Faceoff Photo Courtesy of: Ed Mulholland/ Matchroom Boxing USA Used with permission.